Kiev plans to take up a new line on Donbass potentially concluding its military operation there, Nezavisimaya Gazeta writes on Thursday. A source told the newspaper said that the project is likely to be considered at the next meeting of the group that journalists nicknamed ‘the strategic seven’, among them are President Pyotr Poroshenko, Secretary of the National Security and Defense Council (NSDC) Alexander Turchinov and a few other top officials in the clique. “The Poroshenko and Yatsenyuk people are gathering there. Judging by how active the officials who used to wield political ties with Yatsenyuk are, pressure is being turned up on Poroshenko’s team in order to force them to take some action,” the source told the publication. Alexey Leshchenko, vice president of the Gorshenin Institute, thinks “the issue is not about pressure, enforcement, goading or political jockeying.” There are no disagreements among the so-called ‘strategic seven’, on issues related to the country’s defense and national security,” he told Nezavisimaya. “I see no reasons for disputes. Turchinov said that the anti-terrorist operation regime has fulfilled its function, which is a fact. No anti-terror operation can last for three years of military actions. 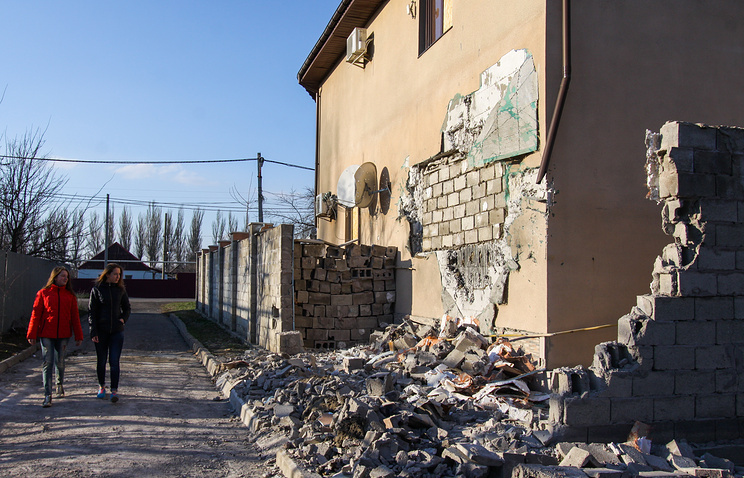 The NSDC proposes to legally qualify the actual situation, and to start with – to acknowledge uncontrolled areas of Donetsk and Lugansk regions as occupied territories with all ensuing political and legal consequences,” he added. The newspaper’s sources in Ukraine confirmed that if a top-level political decision is taken, the parliament’s committees are ready to consider the document and to put it to a vote shortly. 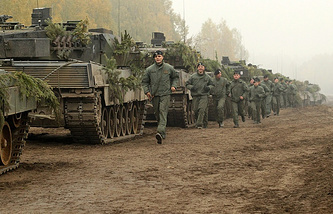 A source in NATO’s press service confirmed to Izvestia that the US Army-led Exercise Saber Guardian-2017 is scheduled for this July in Romania, Bulgaria and Hungary, with around 25,000 combatants from 23 member-states and other countries partnering with the military bloc, participating in what is going to become the largest training operation of all set to be held this year in the Black Sea region. Another activist and one of the co-organizers of the Slovak protests, Vladimir Mali, told the newspaper that a similar rally is scheduled to be held in Bratislava on July 6, 2017. “Many citizens does not want Slovakia to be a transit country where military personnel and equipment are shuffled around.NATO exercises in the Baltics and Southeast Europe are a demonstration of force, which only create potential conflict between the alliance’s member-states and Russia. Unfortunately, the citizenry do not have access to unbiased information about NATO’s actions, which is why we will be organizing rallies where we will be seeking to convey a more balanced position to the people," Mali stressed. The Syrian military has laid out a new transportation corridor to deliver weapons from Iran, Izvestia reports. Experts interviewed by the newspaper say the move paves the way for Iranian weapons to be supplied by land, which would be an alternative to air and sea routes. Also, the opening of the Syria-Iraq land link will ramp up the ability to supply the Syrian army to a whole new level, meaning it would be reinforced to fight the terrorists. 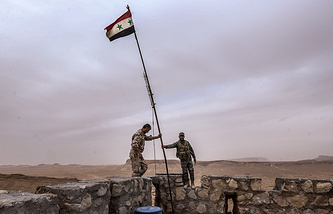 "This is the result of military actions carried out over the past weeks," retired Syrian Major General Yahya Suleiman said, "which opened a way to Syria from Iran via Iraq." "This is a seismic shift, which enable solving the issue of delivering military cargoes, weapons, ammunition, medications and the like from the Islamic Republic. Tehran is the main supplier of weapons to Syria. Until recently, it has had to get them to the governmental forces either using aircraft or via ships to Lebanon and further on crossing the border. Both options were rather costly and involved a number of logistics challenges, which is no longer the case," he said. Oleg Glazunov, an expert at the Association of Military Political Scientists, confirmed it is a strategically important pathway, which makes the task of delivering all necessities to Syria much easier. Ukraine’s Coal Ministry has requested the country’s Foreign Ministry inform the embassies of seven EU countries, the Netherlands, Spain, Bulgaria, Belgium, Poland, Moldova and Romania, and Turkey on how to detect coal supplies from Donbass, which Kiev labelled illegal, RBC writes. The plan is to provide information about coal supplies allegedly illegally delivered from the Donetsk and Lugansk People's Republics (DPR and LPR), to local ports, customs bodies, as well as existing and potential customers. Specialized expertise centers, such as Russia’s Federal Agency on Technical Regulating and Metrology and Incolab Services, are involved in coal certification. A copy of anthracite certificate issued by Incolab Services in April obtained by the newspaper, does not specify the origin of coal. The commodity, which was supplied to the port of Rostov-on-Don, is identical to the coal produced in the Rostov Region, RBC states, citing a market player. Also, many countries, such as Italy, Spain, Greece and Egypt, do not request this type of certificate, a coal trader told the publication on condition of anonymity, and which another market source confirmed. 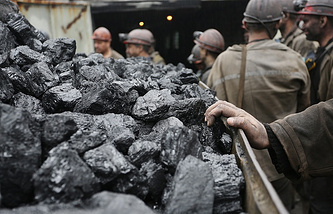 Analysts say Kiev’s policy may result in boosting coal production in the Rostov Region on paper, as coal supplied from Donbass will be mixed with Russian coal while Russia will be marked as its place of origin. “Dealers who deliver coal from the unrecognized territories and mix it with Russian coal do this,” a representative from one of Russia’s big traders told RBC. The Economic Development Ministry has prepared amendments to the law "On joint-stock companies" aimed at improving Russia’s position in the Doing Business rating. The governmental committee on legislative drafting activities approved the amendments, a participant of the committee’s meeting and an official told Vedomosti. Another source in the ministry confirmed that the project is focused on upgrading Russia’s rating. In 2016, Russia took 66th place in the Doing Business rating on protecting minority shareholders’ rights, up 44 spots in one year, and 40th place in the overall rating. Now that the World Bank has launched another round of assessments, Russian officials are hashing over new pertinent amendments to the legislation, including the one on drafting a roadmap for improving corporate management in the country, Prosperity Capital’s Denis Spirin says. The new bill suggests changing companies’ charter to shift the right to appoint CEOs from shareholders to the board of directors, and excluding the right of stakeholders to sell shares. Currently Russian courts assume that this step is limiting shareholders’ rights, Vedomosti writes. Another issue the bill covers is related to dividend payouts. Dividends will be defined as preferred if they are not lower than the amount specified in the charter, while ordinary dividends may be paid if the amount is not specified, the newspaper writes.